Can Traditional Chinese Medicine Help You Live Longer? I have just returned from three months in Beijing as a visiting scholar at the National Institute for Biological Sciences. My host was Meng-Qiu Dong, who heads a lab studying aging in worms. At the end of my stay, I took a look at longevity from the perspective of Traditional Chinese Medicine. There is no doubt that TCM has some gems to offer longevity science, but the overall effectiveness of TCM resists quantification by the usual scientific standards – meaning not that it is ineffective, but that it is extraordinarily difficult to define suitable tests. But the contrast between TCM and modern Western approaches offers us a valuable perspective on our own practices. I first became interested in China in the 1970s. I was a Berkeley grad student, auditing Chinese I every morning at 8 before my physics classes. I knew that I was viewing the world through lenses shaped by my own education and the culture around me; and I wondered what that world might look like from a very different perspective. Berberine is derived from goldenseal=小檗碱 and is a promising anti-diabetic drug, comparing favorably to metformin, though, of course there is much less data available. Berberine increased lifespan in one fruitfly experiment, but has not been tested in rodents. I wrote two years ago about Ginseng (人参), the Chinese longevity tonic with the longest pedigree. Multiple benefits have been documented, including modest effect on lifespan. The best-documented benefits of royal jelly (蜂王浆), harvested from beehives, are for retaining insulin sensitivity. There are credible reports of anti-inflammatory activity and promotion of wound healing. Benefits are claimed for blood lipid profile. There is one mouse longevity study which showed a promising 25% increase in mean LS without increase in max LS, but the control LS was suspiciously short. Dosage was 0.05% of dry diet, equivalent to ~2 g/day for humans. LEF’s “AMPK Activator” =Gynostemma pentaphyllum= jiaogulan= 绞股蓝 is another traditional longevity herb, found in one trial to lower blood sugar. AMPK is a sigal molecule in the insulin metabolism. Jiaogulan promotes AMPK, which can reasonably be expected to preserve insulin sensitivity. To my knowledge, there have been no trials of jiaogulan for rodent life span, and just one 30-year-old study in which it was found to prolong lifespan in flies. Huperzine-A is derived from club moss=Huperzia serrata= 石杉, and is used for cognitive enhancement and neuroprotection. Wolfberry (Goji berry= Lycium barbarum = 宁夏枸杞 = ning xia gou qi) has been studied in connection with glycation of proteins in the skin, which contributes to skin aging. Acupuncture is effective for relieving pain and inflammation of arthritis [review]. Surgery patients anesthetized with acupuncture have shorter recovery times and better outcomes than patients under chemical anesthesia. (Western science doesn’t have a clue how acupuncture works.) Chinese herbs are effective in treating irritable bowel syndrome, and even more effective when the treatment is individualized by a TCM practitioner [ref]. Ginger in the diet is linked to lower levels of inflammation [ref]. Tree ear fungus (木耳=Aricularia) reduces risk of stroke and heart attacks from blood clots [ref], and oyster mushroom (蚝蘑) has anti-inflammatory effect and benefit for blood lipid profile [ref, ref]. Elders who practice Tai chi (slowest and gentlest of the Chinese martial arts) are less likely to fall and less likely to suffer fractures if they do fall (ref). Meditation lowers morbidity and mortality, improves measures of mental and physical health, lengthens telomeres [my review]. Legtimacy comes from thousands of years of collective experience, in oral and written traditions. Legitimacy based on statistical analysis of objectively measurable responses, averaged over large populations in the last decade or two. Individualized treatment – different for each patient. Standardized treatment; same for everyone diagnosed with a given condition. Qualitative, multi-dimensional diagnosis. Binary diagnosis – the patient has the condition or he doesn’t. Treatment aimed at restoring long-term health. Treatment aimed at relieving acute condition. Combination of many herbs with dietary recommendations, acupuncture, and some prescribed behaviors that seem to us random and irrelevant. One drug for one condition. Integrated diagnosis and treatment of body and mind. Treatment of each body part or system as a separate entity. Doctor-patient relationship is integrated into the treatment plan. Doctor-patient relationship is treated as an artifact, the “placebo effect”, noise that interferes with evaluation of the core treatment. Those few Western scientists who pay attention to ancient medical traditions treat them as a trove of ideas for suggesting single chemicals that can be isolated and tested for efficacy, in animals and people the same way we might test any new drug. It is hard to find funding for these tests, promising as they are, because the chemicals are not patentable. And when such studies are funded, they don’t do justice to the Gestalt of TCM. 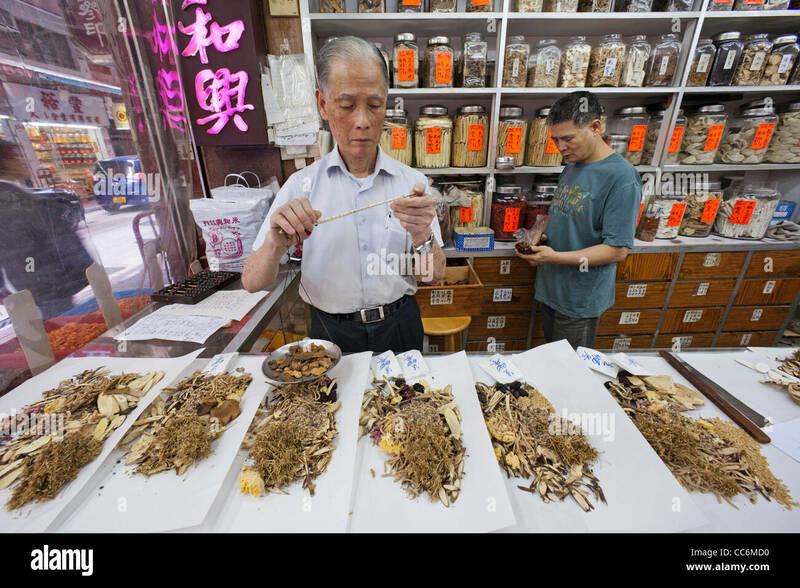 If we find that individual molecules isolated from TCM herbs are potent healers, how much more benefit should we expect from synergy of the traditional combinations of herbs and the personalized diagnoses by healer with training and experience? For all the reasons above, TCM doesn’t fit with the standard mode of scientific evaluation. If each patient is treated differently, how can you make statistical inference? If the doctor-patient relationship is part of the treatment plan, how can you subject the plan to a double-blind comparison? If we test one chemical at a time, we may miss important synergies. And if we look just at short-term outcomes, we are blind to what is most important to the patient over the course of his life. What can we learn about our habits of thought by immersing ourselves in another culture and looking back? Our first reflex may be to subject TCM to standard evaluations from evidence-based medicine. But equally important is the perspective we gain from criticizing Western medicine fromt he vantage of TCM. We (Western, scientific types) know that different people’s reactions to disease and responses to treatments are highly idiosyncratic; yet we treat all differences as though they were random scatter in the data, and look for one-size-fits-all treatments. We know that drugs interact with one another, including both synergies antagonisms, and that these . All of life depends on homeostatic balance among thousands of active chemical agents, catalytic enzymes, and signal molecules. Yet our research is based on testing one drug at a time. Building knowledge from the ground up is the only way we know how to do science. Less than one experiment in 100 looks for pair-wise interactions, and almost none explore the effects of a dozen or more treatments in combination. We value predictability and reproducibility, sometimes to the neglect of miraculous effectiveness. We imagine that the world is a predictable clockwork, of which our task is to learn the mechanism, and we are suspicious of any intervention that works only some of the time. We disdain anecdotal evidence. Thousands of credible stories of one-off cancer cures are discarded in the dustbin of quackery; we refuse to learn from them because other people given the same treatment were not cured. We have moved toward standardization of medical practice. American caselaw in medical malpractice sets a disastrous incentive structure, defining malpractice as doing anything different from what the majority of other doctors are doing. A good doctor’s experience and subjective intuitions can potentially provide a treasurechest of treatment options, but in America there is a powerful legal and cultural discouragement from trying anything that is not “the standard of care”. As medical knowledge has multiplied, Western medicine has moved toward specialization. We rely on experts who know one field, even a single disease, or even a single treatment for a single disease in great depth. With specialization, we have lost the generalist’s knowledge of interacting body systems and organs, and the art of gathering diverse symptoms and observations to infer a diagnosis has been replaced with algorithmic medicine. Western science doesn’t have life completely figured out yet – this is no surprise. “Too complex” is the common refrain, but I think the problem may be deeper. Since the 19th Century, biology has been committed to a reductionist approach. Modern biologists are committed to a program of building an understanding of life from the bottom up, beginning with molecules. It’s commonplace to say that Eastern thought is more holistic, Western more reductionist. Many of the principles of Chinese medicine are conceived in terms that make a Western scientist snicker, and many are tempted to dismiss the whole field based on its theory. But the other side of Chinese medicine is that it incorporates thousands of years of experience, and the treatments that have survived the centuries are the ones that work. For example, the whole field of acupuncture was once dismissed as superstition, but now is accepted as a set of techniques that work for pain relief and sometimes for healing, but Western medicine has no way to think about its mechanism. There are MDs here who practice both TCM and Western medicine, and they have the experience and the wisdom to know which patients will respond best to one or the other approach. There are drug stores here that carry Traditional Chinese Medicine alongside their prescription drugs, in a separate department. A typical Chinese prescription consists of a bag full of a dozen or so herbs and roots that are boiled, and the broth imbibed once or more per day. It’s safe to assume that tradition has combined these herbs in these combinations for a reason, but the Western analytic approach is yet quite far from a predictive science of how they interact. The moral is that when we encounter evidence for the effectiveness of TCM, we should resist the temptation to look for the Active Ingredient, lest we risk killing the goose that lays the golden egg. I would like to see a study of people who have used TCM over several decades, not just to treat a particular malady but as a tonic for general health. Compare specific health outcomes as well as morbidity and mortality for a cohort of such people with a matched cohort that has comparable diet, income and lifestyle, but does not use TCM. Don’t look down on what Western medicine calls the placebo effect. While its power is universally acknowledged, Western institutions do nothing to try to get the most out of the doctor/patient relationship, and in fact the Balkanization of medicine and the economic pressures that have progressively curtailed doctor/patient interactions speak loudly of disdain for the power of “bedside manner” in the healing process. The mind/body connection may not be understood, but it is of paramount import, probably as powerful as all of Western medicine combined. It is only common sense that some practitioners will be much more effective than others, and that time to foster a human relationship has potential both to restore meaning and satisfaction to the work-life of physicians, and also to turn them into more effective healers. In contrast to Western medicine, a personal connection with the doctor is well-integrated into the culture of TCM. China is westernizing at a pace and TCM is declining in popularity, especially with the younger generation. At the same time, TCM and acupuncture in particular are gaining adherents and practictioners in the US and Europe. Life expectancy in China is 75 years, compared to 79 years in Taiwan (tied with USA), 85 years in Japan. The amount that Americans spend per capita on health care is about $9,000, compared to $1,800 in Taiwan and $500 in China. In fact, Chinese expenditure on everything put together (per capita GDP) is only $8,000. Two thirds of Chinese men smoke (compared to <20% in the USA), but the smoking rate for women is actually lower than the US. Only recently, the Chinese government has begun measures to reduce smoking, beginning with a ban in public buildings in 2010. I have seen people in China eat liberal quantities of rice with each meal, and yet the obesity rate among Chinese men is 0.6% compared to >30% in America. The weight difference is something you might readily notice while walking around any Chinese city. The traditional Chinese diet includes small bites of meat as a condiment, but with recent prosperity has come increasing meat consumption. 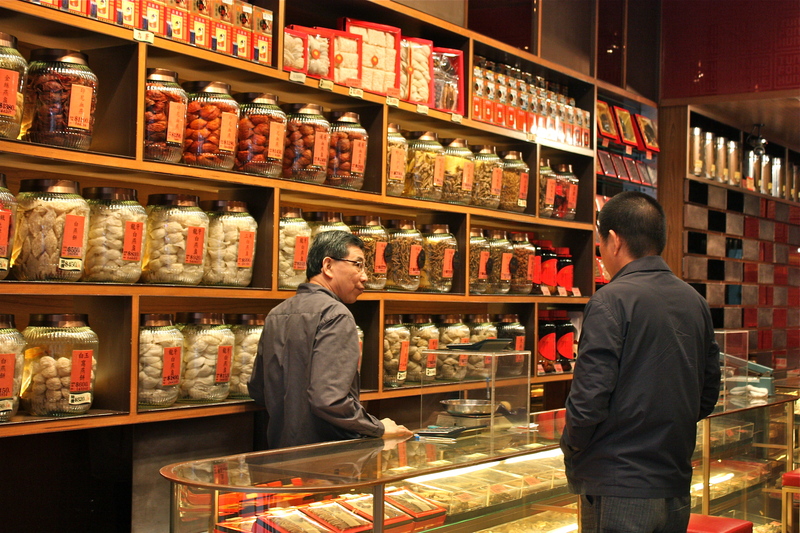 The “sweet tooth” as an addictive affliction is less prevalent in China than the West. “Gym rats” can be found in China, but much more rarely than in the US. People have more exercise built into their day, less time set aside for exercise as a Thing To Do. Chinese cities have undergone explosive growth in recent decades. Pollution in Chinese cities (Beijing is worst) is bad enough to be a major factor in mortality statistics. This week, oncologists at Sichuan University Hospital in Chengdu announced that they had used CRISPR technology for the first time in a human medical application. Immune cells were harvested from a lung cancer patient, and the cells were treated with CRISPR-Cas9 to remove the gene for a protein called PD-1. The function of PD-1 is to help killer T-cells identify the body’s own healthy cells and make sure that the immune system does not attack them; but some cancers have learned to evade immune attack by displaying a PD-1 target. The Sichuan team cultured the modified T-cells and returned them to the patient, on the theory that they might renew the body’s failed immune response to the cancer. Results of the trial are not yet reported. Principal Investigator Lu You emphasized that this is a small trial focused on safety, and ten patients will be closely monitored to look for indications that the modified immune cells have attacked the patient himself. The Western, scientific approach to medicine is my paradigm and (I presume) yours; but it is not the perfect paradigm or the only paradigm. People who dismiss the 2500-year-old wisdom of TCM as superstitious nonsense are missing a potential influx of new ideas and an opportunity for self-reflection. It is only by getting outside our paradigm that we can see its limitations, realize that our thinking has been within a box. Research scientists in America and Europe have to compete for grants and have to get their work accepted into one or another elite journal. This creates incentives to stick to the kinds of biological questions that can be addressed through standard methodology, that will yield definitive answers within a few years at a cost the lab can afford. We can hardly expect researchers to behave otherwise. But we might, at least, recognize that the system steers researchers to ignore approaches that involve multiple coordinated interventions, that rely on experience or expert judgment to be tailored to individuals, or that work via pathways that we do not understand. We ought to recognize that some promising treatments for life extension and health have been excluded from investigation “in the name of Science”. Dr. Douglas C. Wallace is probably the most respected Dr. in the field of mitochondrial diseases. Related to TCM, he wrote a commentary article in Genetics that is worth reading. I only disagree on one point>>>that we should not try to look for the single active ingredient in the various Chinese herbs and medicines. For example I was reviewing the benefits of Goji Berry and found they almost exactly matched the benefits of high dose Vitamin D3. If you look at both chemical structures what do you see? Goji Berry is almost identical to Vitamin D3. I have seen this phenomenon in many other Chinese medicines. Another example , Fo Ti root is simply resveratrol with an attached molecule of what looks almost like glucoronic acid (1/2 of what makes up hyaluronic acid.). Both Fo TI root and Hyaluronic acid are claimed by users to thicken and darken hair and other benefits. I didn’t mean to imply that we shouldn’t be mining TCM herbs for active ingredients. I only wanted to say that we should expect that traditional combinations are more effective than the sum of their ingredients. Thanks, Josh. Great article. I read your post on Parkinson’s too. There’s a lot there. Ayurveda an ancient Indian medicine system of nearly 5000 years has also withstood test of time.Sanskrit, hailed as most scientific language,Yoga and most famously Buddhism have all originated from the very same culture. I recently listened to podcast that mentioned a theory for the mechanism for acupuncture. I admittedly am stringing together words here based on a very very limited understanding, but in a nutshell it involved immune system regulation by way of t-cell endorphin receptors. The acupuncture causes the body to release endorphins, which in turn impacts the immune system yada yada yada. The podcast was an interview with a doctor named Thomas Cowan. I will post a reply if I can track down a link. I’ll be interested to see. In the past, the “explanations” of acupuncture are all about the “puncture” and don’t address the “acu” — I mean to say, the explanation would work just as well no matter where you put the needle in, and we know enough about acupuncture to know it matters a great deal where you put the needle in. This is another simple study that can be done in humans to see if indeed results replicate. Sadly, I look at what people are doing with heterochronic parabiosis and see the same reductionist approach, looking for “the” chemical (s) that cause(s) aging or youthfulness. Interestingly, royal jelly has been found to increase lifespan the C. elegans. The main difference between chinese medicine and western medicine, which I didn’t see get covered by your post, is the centrality of chi. Chi is highly speculative concept and if you were going to make a connection to western medicine you might do so through Robert Becker’s book the Body Electric on electrical potential at the cite of injuries guiding the creation of stem cells. From this perspective chi medicine is geared towards activation of stem cells for better healing and even mild regeneration. Daniel Keown argues in the spark in the machine that chinese medicine is based on embryology and that acupuncture lines follow the pathways whereby the embryo folded over itself. Chi also seems to connect to mitochondria and redox potential. Herbs like astragalus can help this as Douglas Wallace has mentioned. There are connections to western medicine here that could be made with Jack Kruse and his (admittedly speculative) perspective on the physics of cells. Hi Josh… I continue to appreciate your blog. I’ve got both Audible and paperback versions of your book. But I think that western science now has a pretty good clue about how acupuncture that works works. Many independent studies have come to the same general conclusion about the Mechanism of Action for Acupuncture. As important, this conclusion “fits” with other substances/techniques leveraging the same biological MoA for benefit. I believe there are too many of these studies now to falsify the general conclusion. The MoA might be stated briefly as follows: Beneficial acupuncture stimulates the Vagus Nerve, triggering neurotransmitter expression, especially acetylcholine expression, and inflammation reduction (via NF-kB inhibition), especially in the Spleen. Kevin Tracey’s work, btw, is specifically referenced in that study. And, in fact, a new technology based on the science of healthy acupuncture impact on the Vagal Complex (including acetylcholine expression) is now emerging as described here. Transcutaneous Vagal Nerve Stimulation (tVNS): a new neuromodulation tool in healthy humans? 2 – We know a good many other ways, including substances, to inhibit NF-kB these days. And among these techniques, the Vagal – Parasympathetic – (Muscarinic and Nicotinic) Acetylcholine complex is also promising. 3 – How promising are they? You were right Josh to argue that demonstrated benefit to lifespans in experiments were required to answer the question “Where’s the Beef?” I’ve provided references to that kind of beef, about the benefits of deliberate NF-kB inhibition, including survival curve snapshots, here. 5 – I believe the most significant contribution of Chinese Medicine to knowledge and techniques to promote health is its discovery of these (acupuncture) techniques for impacting the Vagal/Acetylcholine complex. Thanks, Steve – I wasn’t aware of any of this. Once more you have led me to a line of research I didn’t know about. As you know, I’m a database application software engineer and not a scientist. I’m focused on increasing the probability of survival for myself, and my circle of family and (online) friends, until the science of rejuvenation is Understood Enough that Implicated Therapies are available. But some inflammatory conditions (asthma, for example) are worsened by mAchR agonists and improved by a7nAchR agonists. Were ancient East Asians able to differentiate their acupuncture techniques by type of inflammatory ailment and needle placement location? Evidently, they were: Notice in the following study abstract that long-standing, non-auricular, acupuncture locations are specified. Josh, very nice article. It kind of hit home for me. I was a hospital pharmacist for 30 years and prior to my retirement began studying Chinese Herbal Medicine under Bob Flaws (Blue Poppy Ent.) Boulder, Co., now retired. One of the greatest educators in TCM in the US. I practiced herbal medicine for 12 years. Tn TCM one does not diagnose but does a “pattern discrimination” i.e., discriminates ALL of the patients signs (tongue, pulse) and symptoms presented. Patterns are usually multiple which results in a formula (yes, bulk herbs 10-20 in a bag) to be decocted by the patient and consumed at least daily and sometimes more often depending on the acuity of symptoms. The taste and odors are very foreign to us westeners! I enjoyed pharmacy but practicing Chinese Herbal Medicine was especially rewarding. Saw a lot of good lasting results with this discipline. You had mentioned that the rate of smoking by Chinese men is very high. About 10 years ago I had the opportunity to visit rural China and sit with physicians in clinic/hospital as they were evaluating patients. Almost every one the these phsicians were smoking! Patients were lined up one after the other (no privacy), evaluated and then handed an Rx for herbal medicine. An eye-opener to say the least. And it is a shame that the younger are stearing away from this 2500 year-old tradition to modern western medicine. I did witness at various times in the clinic that the physician would also include pharmaceuticals with the herbal medicine allowing for a lower dose of the drug obviating side effects. As we know side effects and adverse rxns can be dose dependent. To this day I still use TCM medicine but have graduated to concentrated herbal extracts (5:1). Each gram of the extract (powder form) is equivalent to 5 grams of the bulk herb. No odor and the taste is somewhat better. Is TCM going to lengthen my life? Don’t know. However, I include this into my equation for healthy end of life experiences along with Qi Gong, daily exercises, healthy nutrition, which includes feeding and taking care of our microbiota, and trying to be cognizant of epigenetic factors. We have a choice in our health – “be an active participant or a passive recipient” Deepak Chopra. Life is great at 75. Thanks for an inspiring and thought-provoking story. Chinese medicine is good for preventative measures. However, they don’t help much if you already have a serious problem. The medicine did not help my blood pressure at all. I have to use western medicine to regulate it. Chinese medicine takes a long time to work. You have to take it for at least a year for it to show signs of healing. So if you are in an emergency situation with your gallbladder I would not recommend traditional medicine. Who lives longer— US or China people? It’s not a simple question. Life expectancy in China is rising rapidly, while life expectancy in the US is stalling. US is still ahead of China by a few years, but pollution and smoking are both so much higher in China. China is rapidly switching from traditional Chinese medicine to a purely Western model. Chinese seem to have a genetic advantage, based on the fact that Chinese-Americans live longer than European-Americans. I don’t know how we conclude anything simple from all this. I and an oncologist friend taught a class on holistic medicine at a local University. We brought in a number of U. S. trained doctors of TCM. Ayurveda practitioners, South American herbalist/ shamans to lecture the class. A couple of years later I developed a very large hemroid (30 days no cure). An abscessed tooth, (my dentist refered me for a root canal). Accompanied by depression symptoms. While I was on vacation in a large European city, the pain of these ailments got worse. In desperation, I thought of the challange that one of the guest speakers at our class had made years earlier. “Show me your tounge and pulse (tcm pulse )and I will tell you what your symptoms are”. I was in such pain and discomfort I went to the China town part of that city and decided to try the challange, as no western medicine or practitioner could give me relief. After 5 herbalist turned me down one took the challange. He, by looking at my tounge and tcm pulses told me about the hemroid and tooth. He gave me raw herbs to boil up and to drink as a tea. 48 hours later tooth pain of 45 days gone. Protruding Hemroid gone. After the third day drinking the tea, depression symptoms abated. When I returned to Florida i asked my dentist about the abscess clearing up. He said that sometimes abscessed teeth clear up on their own. When I asked him why that happens, he said that no one in dentistry seems to know. But it does happen. Locally I have not found an herbalist with the same skill. The one I went to in Europe had been an herbalist in China for 30 years. If anti aging could be thought of as pain free aging the study of the ballance of chi should become an urgent study for all of us. Many of us have similar stories. Last year, an acupuncturist cured my carpal tunnel hand after my family doc referred me for surgery.